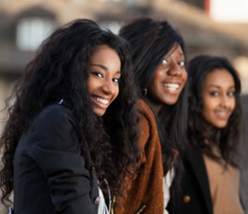 Black Women’s Health Imperative, a Washington, D.C.-based nonprofit has launched the first chapter of the “My Sister’s Keeper” initiative at Howard University and Spelman College. The program is intended to provide information on a variety of topics including sexual violence, reproductive health, and sexually transmitted diseases, geared towards African American women. According to the organization, sexual violence, unintended pregnancy and risky sexual activities are among the leading causes of college dropout among women. Dr. Beverly Guy-Sheftall, the Anna Cooper Professor of Women’s Studies at Spelman College, said she believes that the partnership will highlight the importance of addressing the particular needs of African-American women. Black Women’s Health Imperative is a nationally-recognized organization dedicated to improving the health and wellness of African American women and girls physically, emotionally and financially.